A full-color guide to all the bells and whistles in your new Canon 60DIf you own a Canon 60D, you?ve got a camera for advanced amateurs and one that?s very close to professional-level equipment. Now it?s time to make sure you get the very most out of all that power. 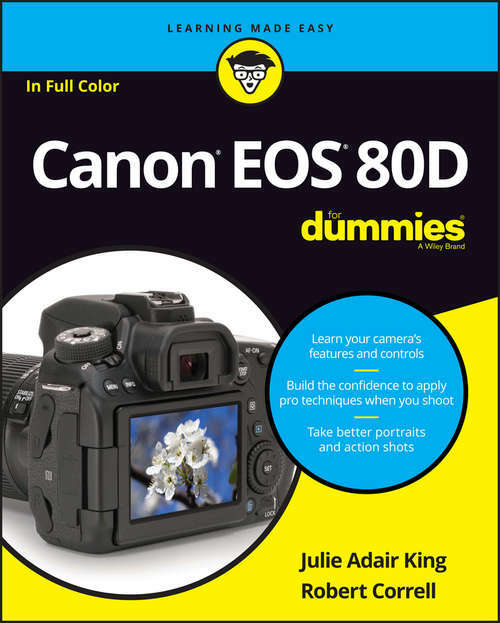 Julie Adair King teams up with Robert Correll to help digital camera users catch their skills up to what their cameras have to offer in this fun but thorough guide. Understand all your camera?s features, move beyond the security blanket of Auto mode, and start capturing the pictures you?ve dreamed of. Gives you the full picture on Canon?s EOS 60D dSLR camera, in the friendly, easy-to-follow, For Dummies styleHelps you explore the 18-mexapixel sensor, full HD video recording, a tilt-view LCD, and expanded in-camera editing tools and filtersTeaches you tricks and techniques, with over 300 example photos and menu captures in full colorReveals how to adjust settings for optimal exposure, lighting, focus, and colorGives you ten top tips on photo editingThe Canon 60D dSLR camera, the expertise of Julie Adair King and Robert Correll, and your own, untapped ability?all you need now is the book! Canon EOS 60D For Dummies.